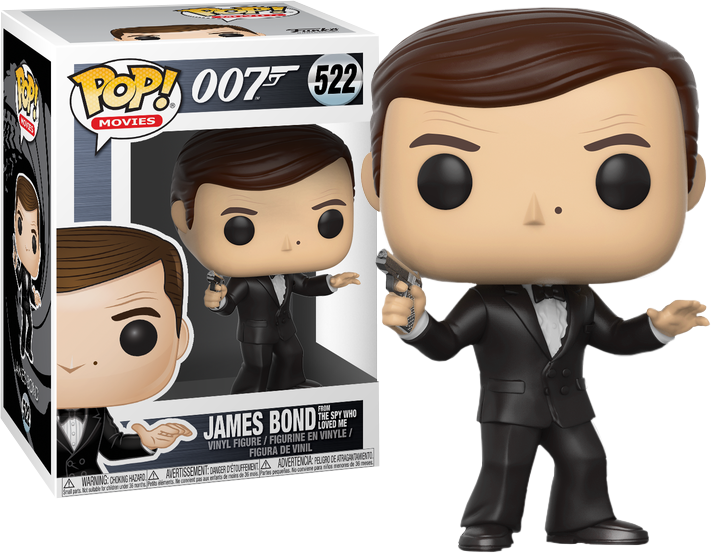 Finally, everyone's favourite British Secret Service agent has joined the Funko Universe with this amazing wave of James Bond Pop! Vinyl Figures! Created in 1953, the James Bond character has transcended pop culture and has been adapted for television, radio, comic strip, video games and film. The films are the longest continually running film series of all time and have grossed over $7.040 billion in total! The character has been portrayed by a number of different actors throughout the series, starting with Sean Connery in 'Dr. No' in 1962. This Pop! features 007 as he appears in 'The Spy Who Loved Me', portrayed by Roger Moore. He comes complete with tuxedo and gun. A must for any true James Bond collection!